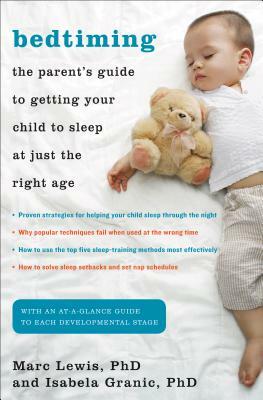 • how to successfully transition your child from your bed to his or her own crib or bed. Bedtiming is a simple, sensible, and reassuring guide that will help children—and parents—get a good night’s sleep. Dr. Marc D. Lewis and Dr. Isabela Granic are developmental psychologists as well as parents of twin boys. Dr. Lewis is a professor in the Department of Human Development and Applied Psychology at the University of Toronto. Dr. Granic is a research scientist at the Hospital for Sick Children. Together, they have given educational seminars and workshops to parents and clinicians around the world. Drs. Lewis and Granic live with their children in Toronto.